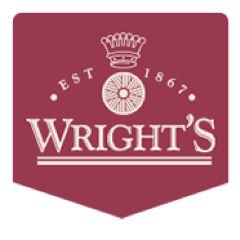 G R Wright and Sons Ltd.
Six generation family flour millers - we've been making quality flours for craft bakers for 150 years. Since we opened the shop its popularity has grown with people who generally find it difficult to get to a superstore or who find it a problem carrying the heavy bags of flour. We are sometimes asked why our products sometimes cost a little more than the superstores we supply. We make it clear that we cannot compete with the stores, who have very high volume efficient distribution networks. On the other hand with the Internet Shop small orders are packed by hand and because flour is heavy there are high postage and packing costs involved. However, another advantage of our Shop is for those who love our mixes and can’t always get the varieties they want from their local store.